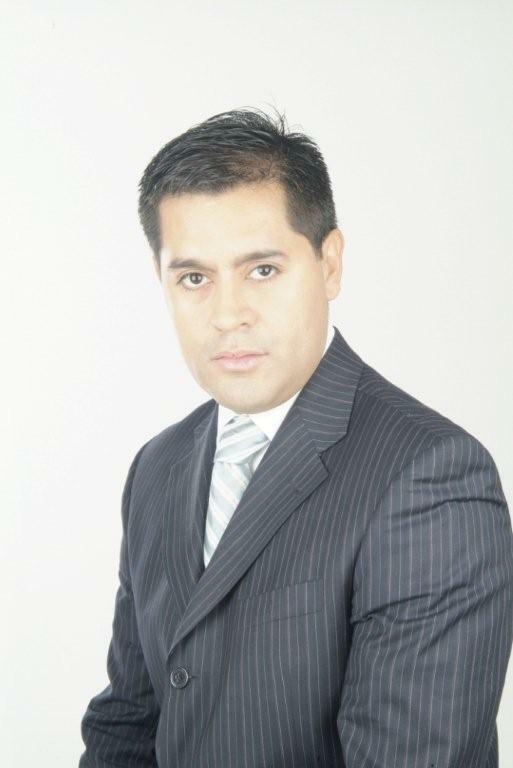 Dr. Juan David Londoño is a plastic surgeon here in Medellin who specializes in body procedures such as liposuction, abdominoplasties and breast augmentation. He shares an office with Dr. Jorge Aliro Mejia Canas in the Forum building, next to the Santa Fe shopping mall in the upscale Poblado neighborhood. He is also one of just a handful of surgeons here who specialize in hair restoration. 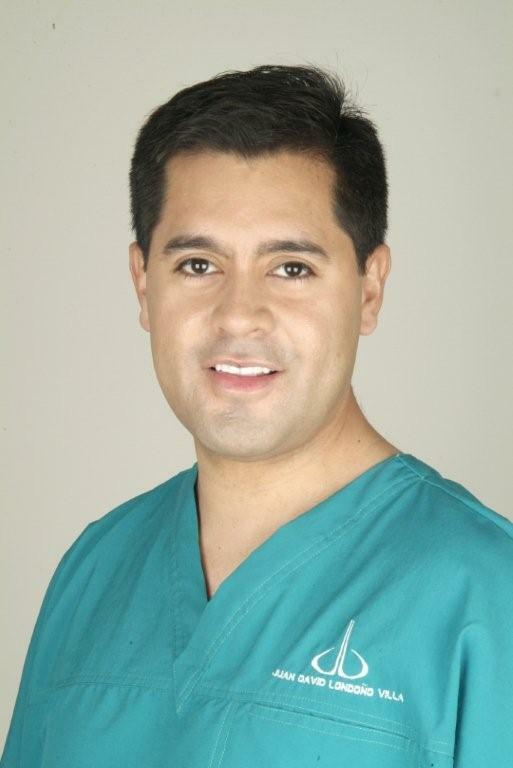 Dr. Londoño attended medical school at the Universidad de Antioquia, graduating in 1995. He completed his plastic surgery residency at the same institution and completed his training in 2003. While he trained in both reconstructive and aesthesthic plastic surgery, he states that he prefers aesthetic surgery because of the close relationship it entails with patients. Today we talked primarily about Hair Restoration procedures because it’s his favorite procedure, and one I don’t know much about. Patience is the key, he states as he explains the ins and outs of hair restoration treatments. Patience was certainly the order of the day as he carefully and graciously explained the principles of hair transplantation to me. Patience is necessary he explains, as in, there is no ‘quick fix’. Hair restoration techniques have evolved with the development of newer procedures but it remains a painstaking process. While people traditionally think of this treatment as exclusively for male pattern baldness, women also undergo hair restoration in cases of thinning hair. People can also use this treatment to restore hair to other areas of the body such as the eyebrows (or as commonly publicized in Turkey) for beard restoration. As Dr. Londoño explains, there are a range of treatments available for the treatment of hair loss, such as male pattern baldness, or thinning hair. While these treatments run along a continium of scalp massage –> medications –> surgery; these treatments can also be used to compliment each other. Probably the best well-known treatments are the medications such as topical applications of minoxidil (Rogaine) or oral (finesteride) Propecia tablets. Many people are familiar with these medications due to long-standing and widely viewed pharmaceutical advertisements in the early and late 1990’s. Both of these medications were originally developed to treat other conditions (hypertension and BPH) and hair growth was quickly noted to be a frequently occurring side effect. These medications underwent additional clinical trials and study by the FDA before being re-formulated (as a topical spray), in the case of minoxidil, and re-marketed to treat hair loss. However, these medications are less than ideal for treating a long-term problem like hair loss. While the medications can prevent additional hair loss, in most cases – additional hair growth is modest and requires continued medical therapy (pills) to maintain. Scalp massage, is believed to stimulate blood circulation in the scalp and improve the health of the scalp and hair. It is also quite pleasant for most people. However, the results of scalp massage as a sole treatment are minimal at best when it comes to the treatment of alopecia. The original surgical methods of hair transplantation (or hair restoration) are more widely known for their limited results. “Hair plugs” refer to the artificial appearance due to the technique of implanting a group of hair in one area, with the finished results often having a row-like appearance (like a doll). More modern techniques include the strip method, and the most recent technique called Follicular Unit Extraction (FUE). With the strip method a small area of scalp on the back of the head (where hair is usually the densest, and has the greatest longevity) is surgically removed in a long strip. The scalp is then sutured closed, leaving a small linear scar. The area of scalp, and hair follicules are then used for implantation. By taking a portion of the scalp, the surgeons are able to ensure that the critical portion of the hair shaft – the root is preserved. This root is needed for hair to survive and grow after implantation. With the newer Follicular Unit Extraction, each hair, including the root is extracted using a 1mm punch biopsy technique. (This is like a skin biopsy punch but much smaller.) Since each root is extracted individually, this is a painstaking and time consuming process. He reports that depending on the degree of hair loss, the length of the sessions and the results desired by the patient – determines the number of sessions a person will need. Since this procedure requires multiple sessions, some patients elect for shorter sessions but require a higher number of sessions since this is often more convenient for the schedules of working people. The first treatment is usually done to re-establish the natural hairline. Subsequent treatments are needed to fill in areas of hair loss. For patients who have very little remaining head hair, hair can be taken from other parts of the body. In general, surgeons use hair from areas (like the so-called “fringe area”) where hair persists despite months or years of hair loss. These areas are less likely to have hair that will succumb to the processes that caused alopecia in these individuals. There are newer methods of FUE which use a more automated process, but as Dr. Londoño explains this often incurs a higher cost – and does not improve the outcomes (but does shorten the process somewhat.) He has the Artas Robot to assist him with the process, (if needed), but cautions readers not to be fooled by surgeons advertising the latest and greatest machinery. We digress into a conversation about general plastic surgery and the widespread advertising of specifically trademarked (and very expensive) equipment such as SlimLipo, Ultrasound and Vaser. He cautions consumers not to be fooled into thinking that having the most expensive equipment equals the best surgeon as often these devices are employed only to attract customers and command more expensive prices. As we discussed in a previous post, these devices were designed for specific uses that may not even be needed for many clients. Why should patients pay for ultrasound-assisted liposuction when standard liposuction will be equally effective in their case? That’s kind of how he feels about the hair transplant robot. He has it – and he will use it if he needs it, but it isn’t for everyone. Results of this procedure are not immediate. The scalp takes time to heal from the transplant procedure, and the newly implanted follicules need to adjust to the transplantation process. Usually, the initially transplanted hair sheds – leaving living, hair producing roots behind. These hair roots will then grow new hair as part of the normal hair growth cycle. But hair takes time to grow – so many patients won’t see the full results of their procedure for up to six months afterwards as the hair grows in to the patient’s normal length. The near universal standard for hair restoration at many facilities is a dollar a hair. When you consider that the average (full) head of hair contains 100,000 hairs – the potential costs of this procedure* can be daunting. However, Dr. Londoño does not apply a “one price fits all” approach to his patients. Instead his assesses the client, their restoration needs (a small area versus the entire coronal area), the amount (and type) of treatments involved, and the expected results before determining a price. It is a more personalized and individualized accounting that may not suit some medical tourists who are looking for bargain basement prices however, it seems a better practice. *Generally patients would only need a small fraction of this number for hair restoration. Khanna M. (2008). Hair transplantation surgery. Indian J Plast Surg. 2008 Oct;41(Suppl):S56-63. An excellent overview of the procedures used in hair transplantation with photographs depicting these techniques and results. Rashid RM, Morgan Bicknell LT. (2012). Follicular unit extraction hair transplant automation: options in overcoming challenges of the latest technology in hair restoration with the goal of avoiding the line scar. Dermatol Online J. 2012 Sep 15;18(9):12. The authors compare automated FUE extraction (and limitations) with manual extraction. Note: the feature photograph(on the front page) has been heavily edited (by me) to depict a gentleman with a receding hairline. This model actually has a lovely head of hair, but I did not want to use the photo of a real person without permission. (This photo is open source). This photo is for article art only and is not an attempt to dupe or trick readers. It is my policy to always disclose when photos have been altered from the original image. This entry was posted in Interviews, Medellin, plastic surgery and tagged abdominoplasty, alopecia, breast augmentation, hair restoration, hair transplantation, Medellin Colombia, plastic surgery. Bookmark the permalink.